I believe you are very lucky to have come around my blog this minute. I find out a great bunch of making money online secret for you. Though it now depend on how active and hardworking you can be. Don’t stress yourself because these are all what we know. Recently a blogger approached me that he loved the way I write my blog post and that he’ll love it if I can be writing for him as well. I actually wrote this post because I discovered that has a person that wants to make way out of internet, and probably for those who are gifted in writing then you need to be attentive here now, because I’ve brought a way you can make money online to your door step even without been a blogger. All that is required of you is a personal computer and a source of internet. I need to tell you that the ways to make money online is endless, and just if you type that word “make money online” to Google you’ll get billion search results. This means we have more than enough articles written on it. Therefore which of those steps written on have you attempted? 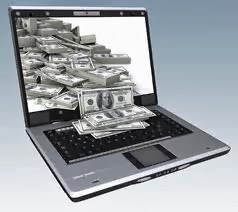 Therefore you need to search no more because today I will discussing the best ways to make money online with just that your Pc and a source of internet. The first point I’m going to talk about is blogging. You know why I’ve taking blogging to be number 1? Because ever searched internet millionaires in all country, then you’ll find out that most of them all have blogs on which they display their passion. You need to be told that as of now, blogging is the surest way to make money online. Though most times it’s always very hard at the beginning, but if you can persevere and you determine to cross the bridge, then sky is your starting point with blogging. When you build your blog on your passion and you make all your contents original, then you start building a reasonable traffic, then you’ll start earning cool $$ every month. It’s only after the first step that things get very easy for you. The secret about blogging is when you’ve done the necessary SEO, and worked on your traffic, then you’ll start making money. 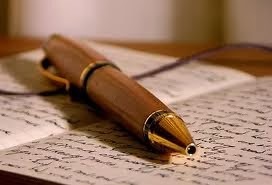 Been a freelance writer is actually a situation whereby you’ll help others do some stuffs on their own blog. Like selling your time or your expertise. I great thing about this is that you don’t have to acquire any special or so be able to do freelancing. The fact that you can use Microsoft word, use directive, then you can able to send mails, then with this, your services can definitely called for as a person to manage a blog. Most times if you are good at Photoshop, excel or with the use of word press, then you can easily make good calls with freelancing. From the illustration I gave you about a guy that approached me, this is exactly how to make money helping people with what they can do. And if you are now very good, you’ll get more jobs on recommendation from the previous work you did which may eventually translate to more big jobs for you at the end of the day. Then where can you freelance online? In case you’ve had that thought which I know you’ve already done immediate I started this post. We have different sites where you can write for, the likes of elance.com (for professionals), guru.com, and oDesk.com, to mention few. We also have more sites like ifreelance.com, peoplerhour.com and fiverr.com. As a Nigerian you can actually gain more on those last 3 sites because they do not restrict their payment to PayPal account only, and I’ve also heard of a guy who live large with freelancing on oDesk.com. Therefore you need to try making money now. Hey! Have you heard about affiliate marketing? It’s actually rocking this day, all you need for it is to sign up for a reputable affiliating marketing companies like Click bank, amazon and the likes. After you sign up with the affiliate company, you put their ads of product on your blog, and once anybody make a purchase of the products you’re promoting for them, then you get a commission. EBay has been a very good online market where people buy and sell, therefore you stand to meet a lot of people there for your products. And in case you have services you want to render, I think I’ll prescribe eBay as a better place to go. Signing up is free, but you’ll be charged if you want to put stuff for sale on auction on eBay. You’ll need your PayPal account, your credit card and probably a shipping service to ship your products when you get them. From experience, eBay can be kind of complicated when it comes to comprehending their ways and how to make money, but research has been shown that it worked for most teenagers by selling their own personal used stuffs on the platform. Many a times, people do get paid to do surveys. There are some companies and organization out there are always engages the services of people to fill survey form for them and at the long run pay those people. I’ll tell you that its easy cash and you can get up to 150 dollars a month if you put substantial amount of time to find the opportunities. Though I prefer the first two ways I listed about in making money online, but I’ve seen several people making money from other choices. You can get good materials to read on about.com on how to make money with paid surveys, and there you’ll learn more on how to learn those that are scam. Thanks for your information, Asaolu! It's always a pleasure to read your articles. Send more! Very informative blog about the ways to make money online . Nice information. I have read those information which you mentioned here. It's very useful for those who are looking for ways to earn money online.I earn money online by doing reselling business to earn money .Reseller is nothing but getting product from someone fixing high rate for those products and then earning money by getting commission from them. To do this we must have a reseller account .I got a reseller account from GoResellers.com here they provide basic and pro reseller plans. I chosen basic reseller plan using which i bought domain names, website builder service, web designing services and so on. After that i fixed high rate for those services and sold them .I earn quick cash through this business. According to me reseller business is one of the best way to make money online. Thank you Priya for this wonderful addition to the post. Actually I've not heard about Goresseller, and i think i will definitely try them out. Thanks for your comment. Some awesome idea on how to make money online . I'm really lucky to visit here. Many many thanks for the nice post.